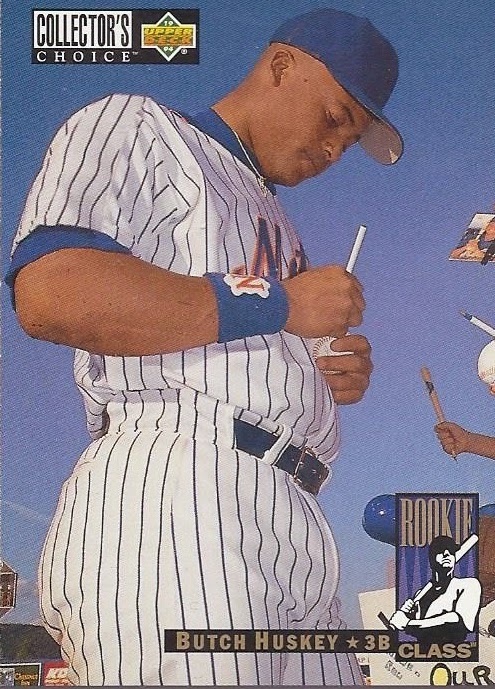 Front photo: An autograph signing photo. First one so far in this set with a different photo that really fits the Collector's Choice theme. Paragraphs in wikipedia entry: 13. Wiki-facts: Real name is Robert Leon Huskey. Baseball miscellany: Was one of the players to be grandfathered in with regards to wearing #42. 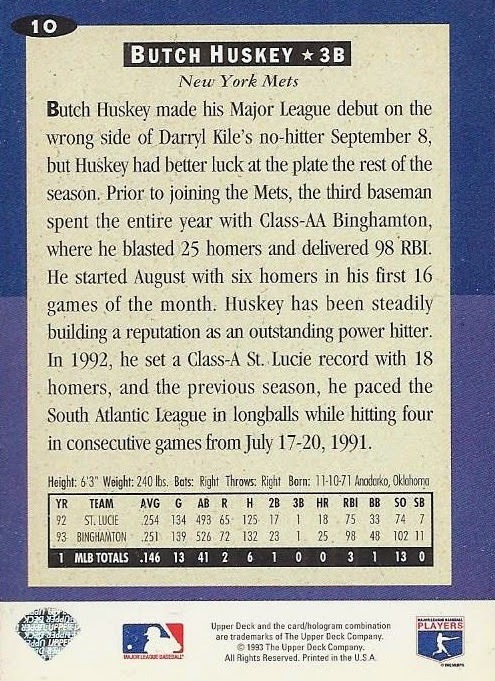 It also repeats the factoid from the back of the card about making his debut on the losing end of a no-hitter. How was his strike-shortened 1994? : Spent the entire year in the minors. Birthday boy: Born November 10, 1971. Shares a birthdate with former big leaguer Terry Pearson. Strangely, despite a far shorter big league career than Huskey's, Pearson makes the wiki list of people born that date. Ties to my Personal Collections: Played for one of the teams I collect, and I have one of his autopgraphs out of Leaf Signatures.